The entire contents of this site are copyrighted under Ireland law. Materials from the www.eurohealthproject.com World Wide Web site may not be copied, distributed or transmitted in any way without prior written consent of Eurohealth Healthy Aging Project LTD. Users can download one copy of any and all materials on the site for personal, non-commercial use provided that they do not modify or alter the materials in any way, or delete or change any copyright or trademark notice. Eurohealth Healthy Aging Project LTD reserves complete title and full intellectual property rights for materials downloaded from the site. The information contained in the Web site is provided for informational purposes only and is not meant to substitute for the advice provided by your doctor or other health care professional. You must not use the information available the Web site (including, but not limited to, information that may be provided by healthcare and/or nutrition professionals employed by, or contracting with, Eurohealth Healthy Aging Project LTD) for diagnosing or treating a health problem or disease, or prescribing any medication. Eurohealth Healthy Aging Project LTD reserves the right to modify or discontinue, temporarily or permanently, the Web site as a whole and/or any or all of the Web site features, products, prices of products, services or information appearing on, or available through, any or all of the Web site with or without notice to you. You agree that Eurohealth Healthy Aging Project LTD shall not be liable to you or any third-party for any modification or discontinuance of such features, products, prices, services, or information on the Web site or the Web site itself. The user acknowledges the originality of any submission communicated to Eurohealth Healthy Aging Project LTD and accepts responsibility for its accuracy, appropriateness and legality in that you agree to provide true, accurate, current and complete information about yourself if and when you elect to provide personal information to us. You also agree to maintain and promptly update any such information to keep it accurate. Eurohealth Healthy Aging Project LTD Web site provides links to other third party web sites or resources. These links are for your convenience only and are not under our control. You acknowledge and agree that Eurohealth Healthy Aging Project LTD is not responsible for the availability of such external sites or resources, and does not endorse any such site, its use or contents and is not responsible or liable for any content, advertising, products, or other materials on or available from such web sites or resources. You agree that Eurohealth Healthy Aging Project LTD shall not be responsible or liable, directly or indirectly, for any damage or loss caused or alleged to be caused by or in connection with your use of or reliance on any such content, goods or services available on such external sites or resources. In the event you decide to access or use any of these other web sites or resources, you agree you do so at your own risk. You may be provided with the opportunity to purchase products and/or services through Eurohealth Healthy Aging Project LTD Web site and/or from third party web sites linked to Eurohealth Healthy Aging Project LTD Web site. Products and/or services purchased through third-party web sites are subject to the terms and conditions of such other parties and their web sites, and Eurohealth Healthy Aging Project LTD shall have no liability or responsibility theretofore. You agree to indemnify and hold on Eurohealth Healthy Aging Project LTD and our parents, affiliates (and their franchisees and licensees), and subsidiaries, officers, directors, employees, successors and assigns, harmless from any claim, loss or demand, including reasonable attorneys' fees, made by any third party due to or arising out of your use of our Web site, your connection to our Web site, your violation of these Terms and Conditions, or your violation of any rights of another party. This indemnity survives termination of these Terms and Conditions. You expressly agree that use of our Web site is at your sole risk and is provided on an "as is" and "as available" basis to the fullest extent permissible pursuant to applicable laws. Eurohealth Healthy Aging Project LTD and its parents, affiliates (and their franchisees and licensees) and subsidiaries (collectively, "affiliates") expressly disclaim all warranties of any kind, whether express or implied, including, but not limited to the implied warranties of merchantability, fitness for a particular purpose and non-infringement. Eurohealth Healthy Aging Project LTD and its affiliates make no warranty, express or implied, that the Web site or any services, products, or information obtained on or through the Web site will meet your requirements or will be uninterrupted, timely, secure, or error free; nor does Eurohealth Healthy Aging Project LTD or its affiliates make any warranty, express or implied, as to the results that may be obtained from the use of the Web site or any services, products or information obtained on or through the Web site or as to the accuracy, completeness or reliability thereof. Eurohealth Healthy Aging Project LTD makes no commitment to update or correct any information that appears on the Web site or any Web site linked hereunder. You understand and agree that any material and/or information downloaded or otherwise obtained through the use of or from the Web site is done at your own discretion and risk and that you will be solely responsible for your use or nonuse of such information, including, without limitation, any damage to your computer system or loss of data that results from the download of such material and/or information and any bodily injury. Eurohealth Healthy Aging Project LTD is not responsible for technical, hardware or software failures of any kind; lost or unavailable network connections; incomplete, garbled or delayed computer transmissions. Under no circumstances will Eurohealth Healthy Aging Project LTD or its suppliers be liable for any damages or injury that result from the use of the materials on this site. Eurohealth Healthy Aging Project LTD and its affiliates make no warranty regarding any goods or services purchased or obtained through or from the Web site or any transactions entered into through the Web site. No advice or information, whether oral or written, obtained by you from Eurohealth Healthy Aging Project LTD or through or from any service or product on the Web site shall create any warranty not expressly stated herein. Some jurisdictions do not allow the exclusion of certain warranties for consequential or incidental damages, in which case the above limitation may not apply to you. Eurohealth Healthy Aging Project LTD may make changes to its Web site design, functionality and/or content at any time, and may provide links to other sites that are not maintained by Eurohealth Healthy Aging Project LTD. Eurohealth Healthy Aging Project LTD does not endorse those sites and is not responsible for the content of such other sites. Please read our policy governing such links. You agree that Eurohealth Healthy Aging Project LTD and its affiliates shall not be liable for any direct, indirect, incidental, special, consequential or exemplary damages, resulting from the use or the inability to use the Web site or any services, products or information obtained on or through the Web site, even if Eurohealth Healthy Aging Project LTD or its affiliates have been advised of the possibility of such damages, including, without limitation, damages from: personal injury; downloading any material contained on or accessed through the Web site; linking to any third party Web site from the Web site; any unauthorized access to any information on the Web site and/or submitted by you to or through the Web site; cost of procurement of substitute goods and services; any goods or services purchased or obtained or messages received or transactions entered into through or from the Web site; and/or loss of profits, use, data or other intangible losses. You further agree that Eurohealth Healthy Aging Project LTD and its affiliates shall not be liable for any damages arising from interruption, suspension or termination of the Web site, including but not limited to direct, indirect, incidental, special, consequential or exemplary damages, whether such interruption, suspension or termination was justified or not, negligent or intentional, inadvertent or advertent. Some jurisdictions do not allow the limitation or exclusion of liability for incidental or consequential damages, in which case the above limitation may not apply to you. Eurohealth Healthy Aging Project LTD controls eurohealth.us and eurohealthproject.com Web sites from our offices within Ireland. We make no representation that the Web site or its content (including, without limitation, any products or services available on or through the Web site) is appropriate or available for use in other locations. Users who access the Web site from outside Ireland do so on their own initiative and must bear all responsibility for compliance with local laws, if applicable. These terms and conditions are governed and interpreted pursuant to the laws of Ireland, notwithstanding any principles of conflicts of law. If any part of these terms and conditions is unlawful, void or unenforceable, that part will be deemed severable and will not affect the validity and enforceability of remaining provisions. Any claim relating to Eurohealth Healthy Aging Project LTD Web site, our Web site Terms and Conditions, and the relationship between you and Eurohealth Healthy Aging Project LTD organization shall be governed by the laws of Ireland without regard to its conflict of law provisions. You and Eurohealth Healthy Aging Project LTDEurohealth Healthy Aging Project LTD agree to submit to the personal and exclusive jurisdiction of the courts located within Ireland. Eurohealth Healthy Aging Project LTD can revise these terms and conditions at any time by updating this online posting. Eurohealth Healthy Aging Project LTD may terminate this agreement at any time without notice for any reason. Users may terminate this agreement by destroying all materials obtained from Eurohealth Healthy Aging Project LTD.
1. APPLICABILITY OF CONTENT: The information presented by Eurohealth Healthy Aging Project LTD on its Web site is not intended to be a substitute for medical counseling. The site is intended to help you make informed decisions about your health. Before adhering to any of the information or recommendations presented throughout Eurohealth Healthy Aging Project LTD web site and/or other electronic communications and/or purchasing products and/or services, please consult with your own physician or healthcare practitioner. Eurohealth Healthy Aging Project LTD reserves the right to refuse or cancel membership and/or access to this Web site for any reason. 2. GENERAL TERMS AND CONDITIONS: You agree to: (a) maintain all equipment necessary for your access to and use of Eurohealth Healthy Aging Project LTD Web site; (b) maintain the security of your user identification, password and other confidential information relating to your Eurohealth Healthy Aging Project LTD Web site account; (c) be responsible for all charges resulting from use of your Eurohealth Healthy Aging Project LTD Web site account, including unauthorized use prior to your notifying Eurohealth Healthy Aging Project LTD of such use and taking steps to prevent its further occurrence by changing your password; and (d) updating your personal contact information, including e-mail address. 4. WAIVER, RELEASE AND LIMITATION OF LIABILITY: You agree that neither Eurohealth Healthy Aging Project LTD, nor its affiliates, subsidiaries, officers, directors, employees, agents, consultants or information providers or suppliers, shall have any liability to you under any theory of liability or indemnity in connection with your use of the Eurohealth Healthy Aging Project LTD Web site. You hereby release and forever waive any and all claims you may have against Eurohealth Healthy Aging Project LTD, its officers, directors, employees, agents, consultants, information providers or suppliers for losses or damages you sustain in connection with your use of Eurohealth Healthy Aging Project LTD Web site. 5. Notwithstanding the foregoing paragraph, the total liability of Eurohealth Healthy Aging Project LTD and its officers, directors, employees, agents, consultants, information providers and suppliers, if any, for losses or damages shall not exceed monies paid by you for the particular information, products and/or service provided. All other damages, direct or indirect, special, incidental, consequential or punitive arising from any use of the information or other parts of the Eurohealth Healthy Aging Project LTD Web site are hereby excluded even if Eurohealth Healthy Aging Project LTD or its officers, directors, employees, agents, consultants, information providers or suppliers have been advised of the possibility of such damages. Void where prohibited by law. The dietary and other substances discussed on this site may not have undergone evaluation and/or testing by the United States Food and Drug Administration or like agency of any other country. Risks that might be determined by such testing are unknown. Where these substances are dietary supplements, they are not intended to diagnose, treat, cure or prevent any disease. In some jurisdictions, some of these substances may be considered prescription drugs, controlled or contraband substances. Since the information published on the Eurohealth Healthy Aging Project LTD web site is accessible to anyone throughout the world, Eurohealth Healthy Aging Project LTD does not give legal advice that may apply to any particular consumer. Consumers are cautioned to check with local, regionalized legal counsel and/or health care professional(s) before making any purchases of membership, products and/or services on the Web site. The policy opinions expressed on this site, and on sites to which it may link, are not necessarily the views of Eurohealth Healthy Aging Project LTD and are not adopted for commercial purposes. We ship orders with Royal Mail International Standard and a selection of express couriers. Shipments through express courier are usually delivered in 3 to 5 business days, while air mail may take 10 to 15 business days. The official version of this Web Site is in English. While we offer machine translations of this Web Site for the convenience of our customers, Eurohealth Healthy Aging Project LTD is not responsible for any errors or omissions in those translations. 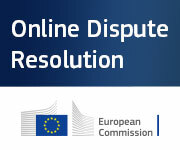 The Online Dispute Resolution (ODR) platform is provided by the European Commission to allow consumers and traders in the EU or Norway, Iceland, and Liechtenstein to resolve disputes relating to online purchases of goods and services without going to court. Before using the ODR platform, please contact us at info@eurohealthproject.com and we'll do our best to solve any issue you may have encountered with purchases made on our website.